Imagine a beautiful, quiet landscape. You’re sipping wine favoured by royalty and sharing delicious meals with the people you love. Sound like paradise? 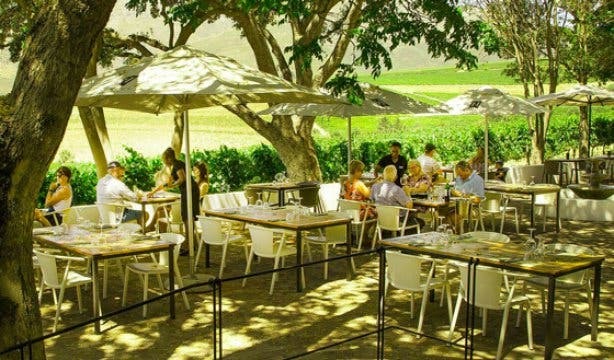 Then you need to check out Haskell Vineyards in Stellenbosch. From the romantic lookout point to the welcoming feel of the Residence and Cottage accommodations, Haskell Vineyards offers you more than just an excellent wine tasting, it gives you an experience unlike any other, and you can easily see how it is a hidden favourite of all that have discovered it. Haskell Anvil 2017 Chardonnay was awarded a John Platter's five-star award in November 2018. Read more about South Africa's best wines. Now you can savour this award-winning wine while enjoying all the experiences at Haskell Vineyards. There is something powerful and spiritual about sunsets and we can benefit from witnessing it more regularly. 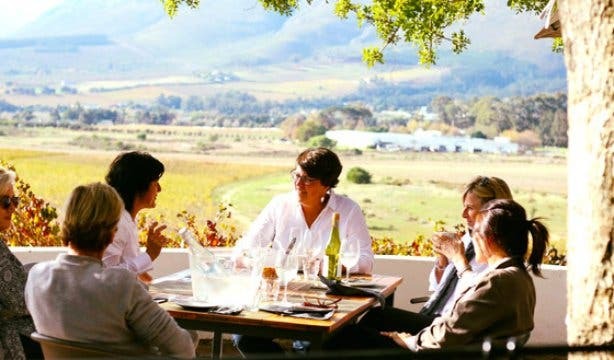 Take a seat at Longtable Restaurant on Fridays and Saturdays for picturesque sunsets, good food, excellent wines and beautiful company. 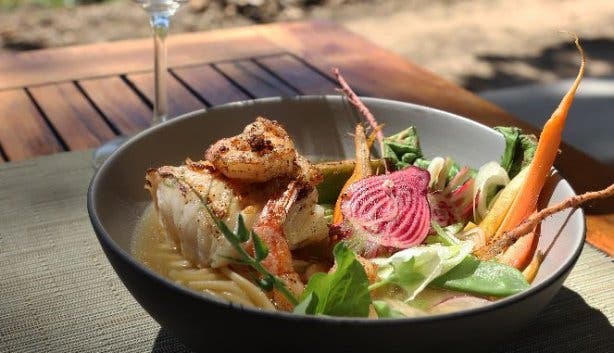 The restaurant is open for lunch and dinner from 11:30am–9pm from November 2018–March 2019. When the idea was conceived for the Longtable Restaurant, it was meant to inspire a sense of community in patrons: To sit together, enjoy good food, fine wine and excellent conversation. 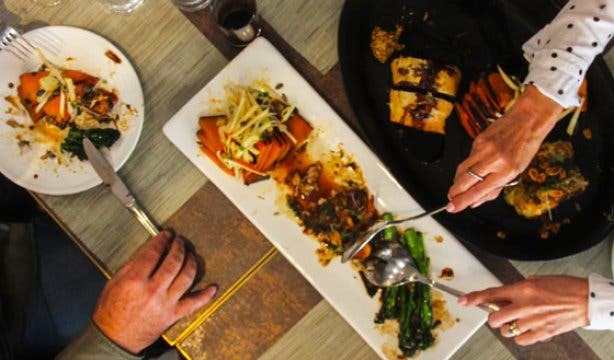 The restaurant opened following a renovation in December 2017, and while it has a stylish update, the same concept still applies and the restaurant encourages guests to share and compare their food. 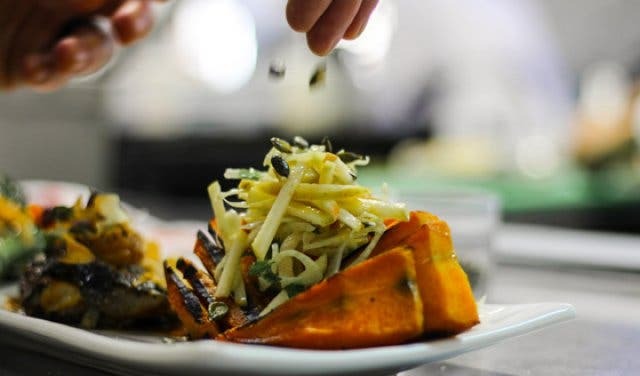 They describe the experience as a “food adventure” with a diversity of flavour, led by head chef Cornelle Minie. All the ingredients are sourced locally and some of the vegetables are even grown in the vineyard’s own garden so that every bite that you take feels authentic. 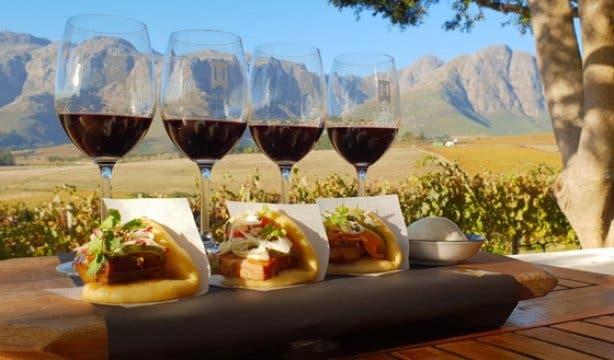 If you are in the mood for a romantic or family picnic, Haskell Vineyards has the perfect picnic spot overlooking the Helderberg Mountain and the estate’s vineyards. Bring your own picnic baskets, drink some wine from the estate and become immersed in the tranquility and simplicity. Space is limited though, so make sure that you book well ahead. 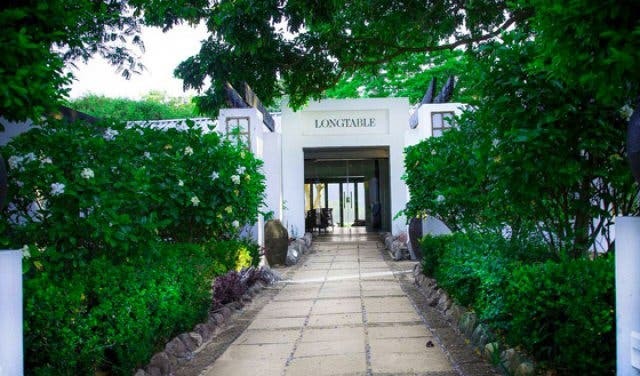 The Longtable Restaurant is also the perfect location for a small wedding – it seats 40 people, 70 maximum if you incorporate the outside area as well. It will give you the intimate, magical wedding that you have always wanted. 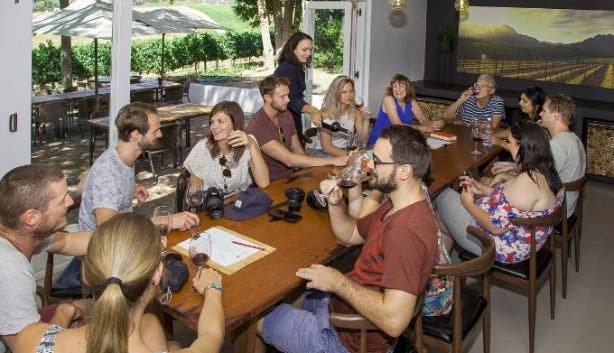 Their beautiful tasting room is fully equipped with aircon, sound system, WLAN and it can be booked for board room meetings and business lunches for up to 12 delegates. recognized as amongst the finest of their style produced in South Africa. The boutique estate is 23 hectares in size, of which 14 hectares are planted under vine. The grape varietals range from Chardonnay, Merlot, Cabernet Sauvignon, Cabernet Franc and Shiraz. Rudolph Steenkamp, former assistant winemaker to Boela Gerber at Groot Constantia for four vintages, joined the Haskell Vineyards team mid-June 2018 as assistant winemaker/vineyards manager. He was appointed winemaker as of October 2018, taking over from Rianie Strydom, the first winemaker at Haskell Vineyards. Roughly 50% of their production is sold and consumed within South Africa, with 50% exported throughout Europe, Asia and America. There are two ranges of wine produced on the farm. The flagship range is called Haskell and Dombeya is their lifestyle range. Even though Haskell is particularly known for its Shiraz and Cabernet Sauvignon, their single vineyard Chardonnay vines were planted in 1988 making these vines some of the oldest in the Cape. 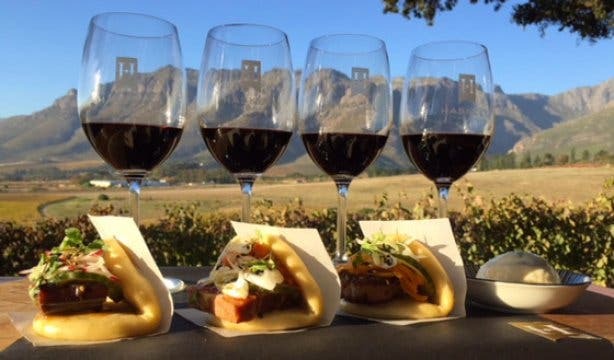 The wine farm has received the prestigious five-star accolade from Platter’s Guide and is the first South African winery since the Tri-Nations Challenge to win Best Syrah, Best Red Wine and Best Wine of the Show in the 2009 competition. In 2018, their Haskell IV Bordeaux Blend was awarded a gold medal in the Six Nations Wine Challenge, a Global Wine Events Platform that showcases the very best of the best ‘NEW WORLD WINES’ and promotes their outstanding quality, diversity and richness annually. Although all Haskell wines are ready to drink now, they have a great capability to age well. The Dombeya range was named after the original estate and pays homage to the Dombeya tree, which is scattered across the vineyards and represents a cycle of regeneration and renewal. In 2017, their Merlot was the only Merlot to win Double Gold in the Veritas wine awards 2017. The Dombeya range was also the wine Prince Albert of Monaco served at his 2011 wedding to former South African swimmer, Charlene Wittstock. The Longtable Restaurant also sells their wines (Dombeya and Haskell) at cellar door price. When staying at Haskell Vineyards you have a choice between two luxurious spaces — The Residence and the Cottage. Both have a rustic, vintage look about them and have a unique feeling of being both elegant and homely. 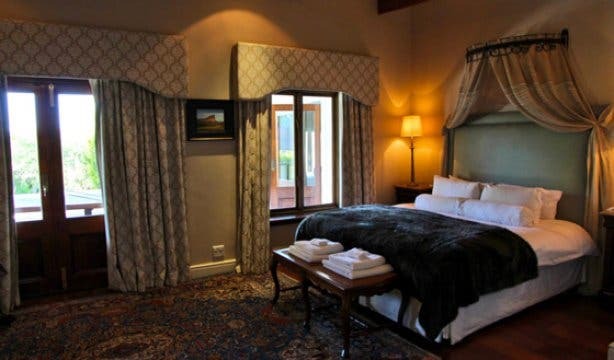 The Residence is a beautiful country house equipped with two bedrooms, three bathrooms, a dining room, fully-equipped kitchen, a TV room, free Wi-Fi, laundry room, braai and fireplace. The Cottage is a loft-style apartment with one bedroom, a kitchenette, a bathroom with free Wi-Fi, air conditioning and a veranda. Tip: The Haskell range of wines is a large drawing point, as these are not commonly available in all liquor stores – they are mostly exported, but they have you covered with their excellent online store that stocks most of their ranges. Wanting to save money this winter? Cosy up with our amazing winter specials. 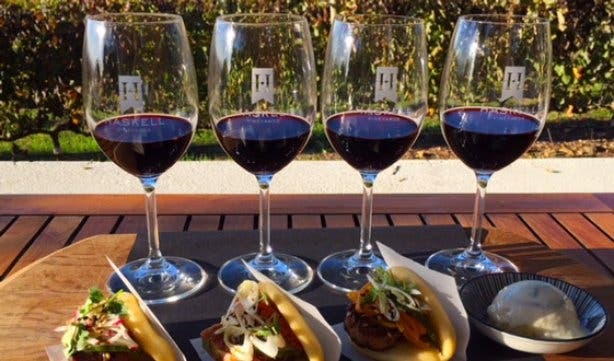 While drinking the tasty wines of Haskell Vineyards, why not check out our list of great wine tasting spots? Don’t break the bank when going on holiday, check out our list of accommodation specials. Looking for a venue for your wedding or birthday party? We have you covered with our top function venues.